One Man and A Brush Milton, GA Painters takes great pride in offering homeowners affordable exterior painting & interior painting services. 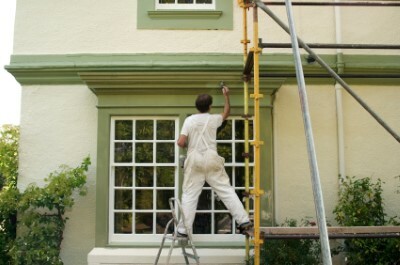 We are expert residential house painters offering only the highest quality house painting and home improvements. All of our Milton painters are craftsmen with a minimum of 5+ years expereince. Our home improvement services don’t end on the last day of your home project. We provide a free touch-up service and a 5 year warranty. You deserve a top quality home improvement contractor you’ll be proud of—that’s the only kind of work we do. With hundreds of homes painted we have the expertise you’ll be able to trust. We are professional painting contractor that “Care”, performing quality painting right down to the last brush stroke! Give us a try, you will be glad you did! If you are looking for a professional Milton painter or painting contractor in the Milton, GA area then please call One Man and A Brush at 678-368-5115 or complete our online request form.